This is it!! The massive, 48-page conclusion to the critically-acclaimed 'DARKSEID WAR' can hardly be contained between two covers! Don't miss the final fates of the world's greatest heroes and villains, along with world-changing revelations for Batman, Superman and Wonder Woman. 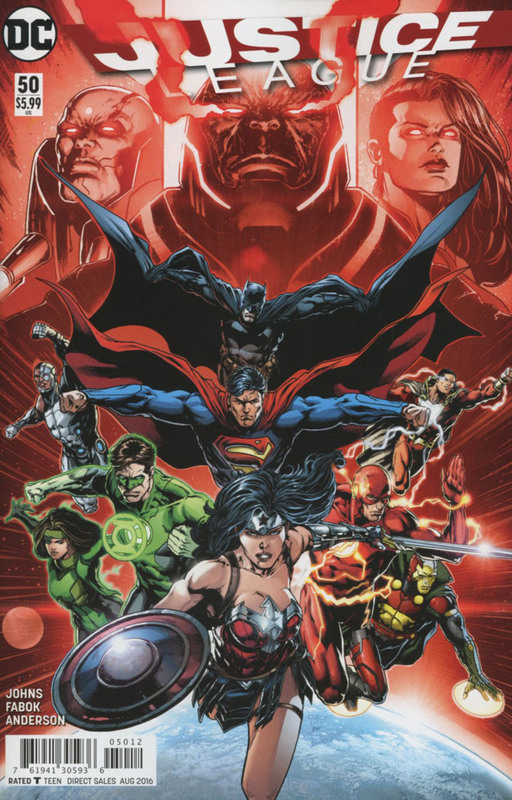 It doesn't get bigger than this as DC's monthly super hero event comic sets the stage for the next year and beyond!